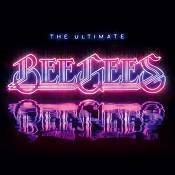 'The Ultimate Bee Gees' is a career retrospective featuring the group's many hits and chart-topping singles, performances of a selection of hit songs they wrote for others, and liner notes by Sir Tim Rice. The third disc is a DVD of previously unreleased footage. This year marks the golden anniversary of the Bee Gees' musical beginnings. Since then, the trio has been inducted into both the Rock and Roll Hall of Fame and Songwriters Hall of Fame, won both the Lifetime Achievement (2000) and Legend Awards (2003) from the Recording Academy, seven Grammy® Awards, BMI Icon Award, and a Lifetime Achievement Award at the 1997 BRIT Awards.